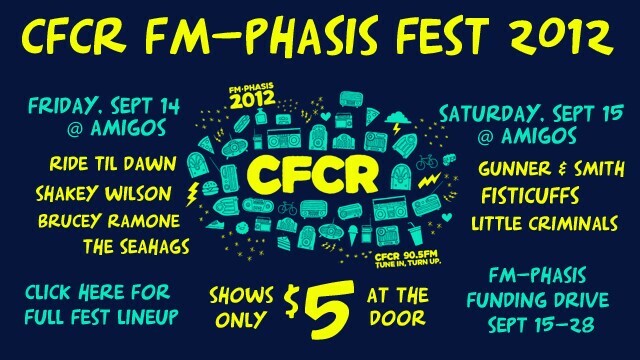 We are on at 10 pm (early because one of us has to work at midnight!). 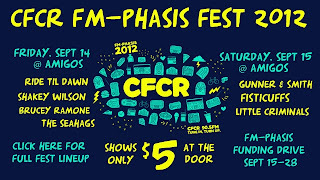 $5 and you'll be supporting community radio. PS. The stud in our band, Riki, hosts Rainbow Radio on CFCR every second week on Sundays from 9:30-11:00 pm. AND April, our banjo player, hosts RCMP (Royal Canadian Music Parade) every Wednesday from 4 pm - 5 pm on CFCR. 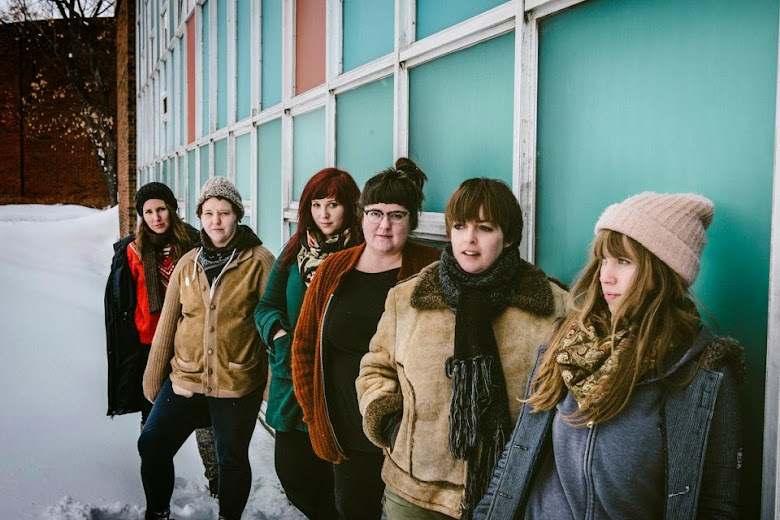 AND Brenda, our drummer, co-hosts a feminist program called Laundry List that airs on Tuesdays at 6 pm.